A large number of domestic and international first-class stage lighting equipment used in the whole field, with a total number of more than 2,000 sets of various computer lamps. In this record-breaking and huge lighting system, 2,160 new Guangzhou Stage Lighting Equipment Co., Ltd. (RGB) was selected. The direct-discharge loop and 240 DMX amplification loops control the core power and control signals of the various lamps in the entire field. In the sea of â€‹â€‹people, by flashing the lights, the digital squares are counted down. At this time, more than 700 computer moving head lights were used for the whole field illumination, and the blue lighting enriched the picture, and the light and dark effects and rhythm of the light changed with the countdown time. The power of the two lamps is 1.2KW and 1.5KW respectively, controlled by 710 direct-discharge loops of RGB-1224 lighting control cabinet. The performance of two thousand people, the momentum is grand, the action is unified, the countdown of innovation hits the audience to the climax. As the number diminishes, everyone's heart is full of passion. "Silk Road", "Nature", "Dream"... A picture that makes the world marvel at the light and the scenery, the people and the emotions, gives us and the world friends a better understanding of China in the ascent. Behind the RGB-2416 lighting control cabinet (16A waterproof socket) and RGB-1224 lighting control cabinet as the main output power of the computer light on the bird's nest, the RGB-2406 lighting control cabinet is the SPOT computer moving head connected to the second and third floor stands. Lights and WASH computer moving headlights. The computer projection lamp that impressed the audience because of the dream effect created by the RGB power box 32A waterproof socket output as the core power. 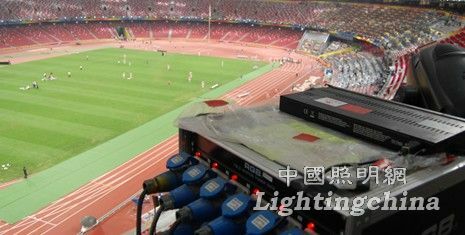 The entire huge complex power supply and distribution system is always in contact with the lighting effects of the opening and closing ceremonies of the Beijing Olympics. This system has more than 2,000 computer lights, but ensuring the normal operation of all the lines becomes a key issue for the staff. RGB provides this special batch of equipment, combined with the actual use and work needs not only the imported 400A rhino power plug is used at the input end. At the same time combined with the actual use of the venue and equipment, the output interface also uses such as the nineteen core aviation socket, 16A waterproof socket, 32A waterproof socket output. The special place of the bird's nest ceiling is a large number of nine-core aviation sockets due to the complicated work site and easy to manage the circuit. One main cable serves multiple lamps at the same time, thus avoiding many lines and chaos. The entire RGB device monitors the voltage and current of each phase in each region in real time. Give the on-site staff the first time to grasp the actual situation of the real-time power supply and distribution system, and ensure that all equipment works under a good power system. Every device is guaranteed to work properly in a good power system, but it also requires a critical guarantee. That is to ensure that the control signal is fast, stable and accurate. The RGB-CS2208, which connects the entire DMX-512 light control signal, is a new type of signal processor that can superimpose two DMX into one signal, and the signal is amplified and stabilized by photoelectric isolation signal, and there is also an input switch. The eight simultaneous DMX signals also increase the number of accesses to the computer lights. These 240 DMX amplification loops did not have any failures such as breakdown, burnout or signal loss during the entire Olympics. It ensures the stability and accuracy of the signal of the whole process of the lighting control system, so that the entire lighting performance is presented to the people of the whole country and friends all over the world. 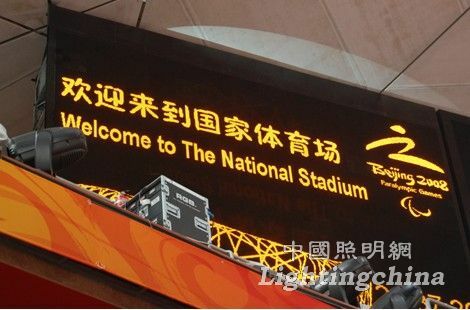 As the selection brand of the opening and closing ceremonies of the Beijing Olympics and Paralympic Games, RGB stage lighting equipment is displayed in front of the world with the exquisite product quality and excellent service ability, and contributes to the success of the Beijing Olympic Games. Moulded Case Circuit Breaker is MCCB , How to select good Molded Case Circuit Breaker suppliers? Korlen electric is your first choice. All moulded Case Circuit Breakers pass the CE.CB.SEMKO.SIRIM etc. Certificates. Moulded Case Circuit Breaker /MCCB can be used to distribute electric power and protect power equipment against overload and short-current, and can change the circuit and start motor infrequently. The application of Moulded Case Circuit Breaker /MCCB is industrial. Korlen electric also provide Miniature Circuit Breaker /MCB. Residual Current Circuit Breaker /RCCB. RCBO. LED Light and so on .